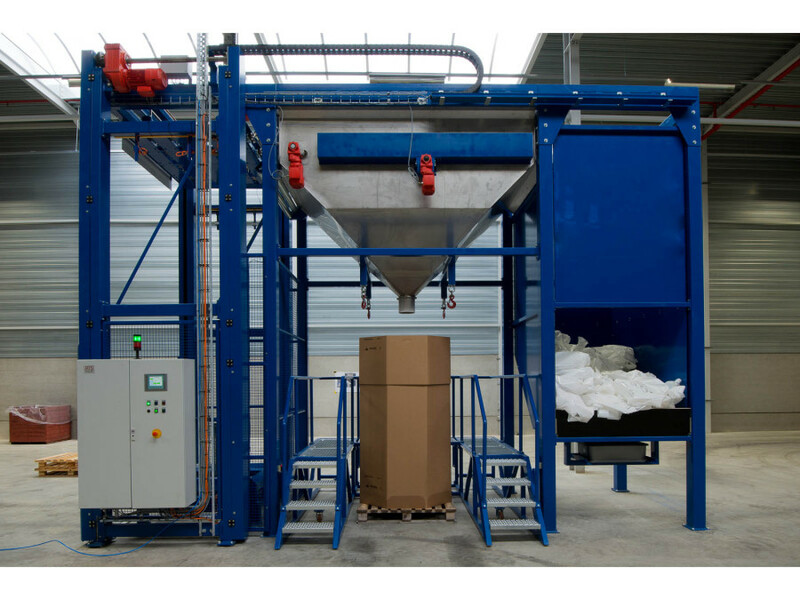 With the fully automatic bag emptying machine, granulate bags of 25 kg can be opened and emptied into a receiving bin. 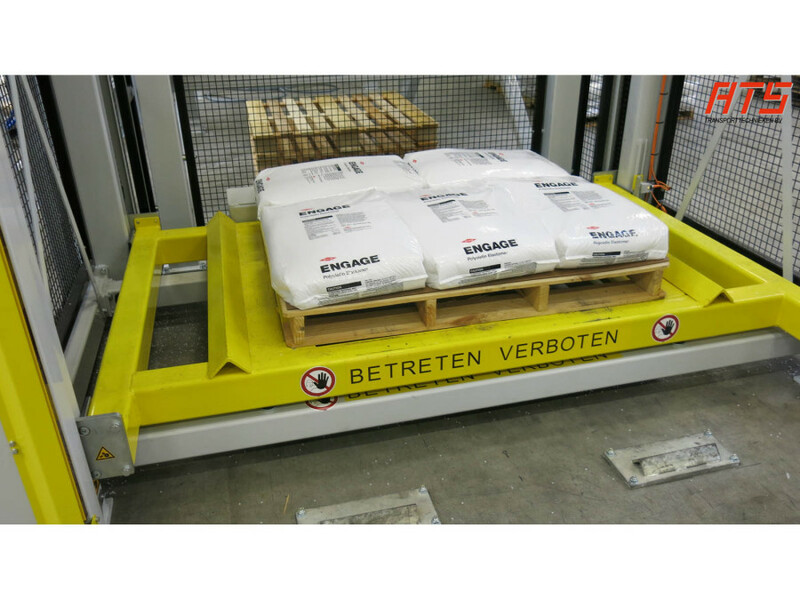 Pallets with these bags can be placed into the machine manually or automatically. 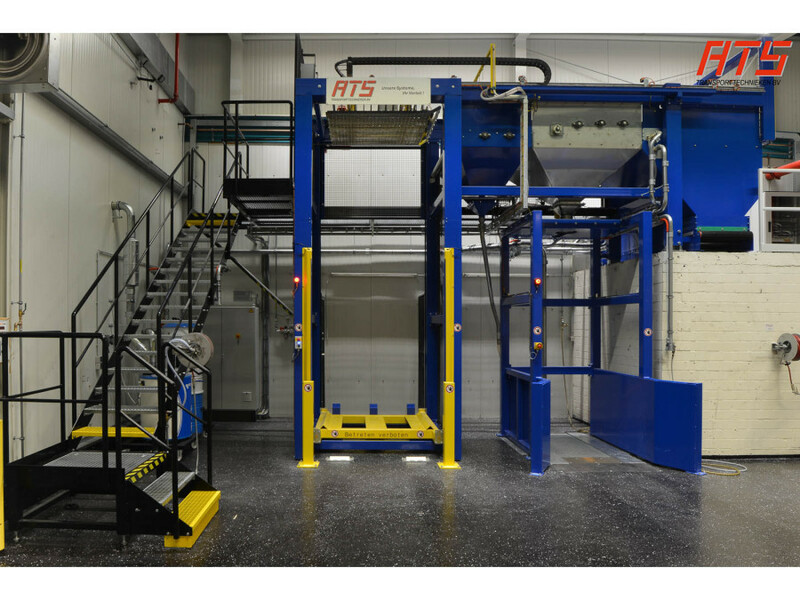 The capacity of the machine is between 10 and 15 tons of granules per hour, depending on the chosen implementation and the product to be processed. 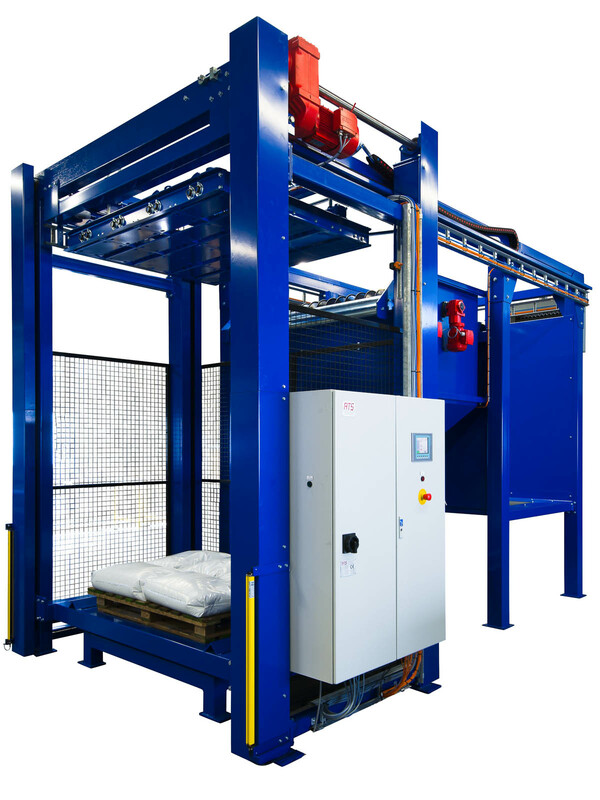 After placing a loaded pallet in the machine it is lifted up to a movable gripper head. Its integrated grippers take the top layer of bags of the pallet which are then transported over rotating blades to the receiving bin. These rotating blades cut the bags open, causing the granulate to fall into the bin. A unique knocker system ensures that the bags are fully emptied. Emptying is better than 99.98%! After emptying the bags the gripper head moves the empty bags to a collection funnel and drops them. It is also possible to transport or drop the empty bags (in)to a bag compactor or baler. The granulate in the receiving bin is transported from the bin by means of a granulate pump into the pneumatic transport system. This system provides a durable and reliable transport to storage silos. The bag emptying machine, including the pneumatic transport, is controlled entirely by an autonomously working Siemens S7 PLC.